Annals of Forest Science, 74 , 2017, ISSN: 1297-966X. 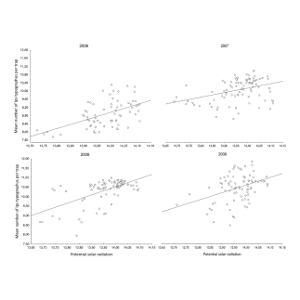 Agricultural and Forest Meteorology, 242 , pp. 85-95, 2017. Norway spruce forests (Picea abies Karst.) 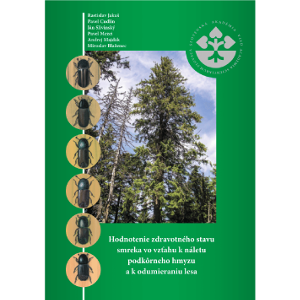 of the Carpathian High Tatra Mountains have been subject to unprecedented tree mortality caused by attacks of the Eurasian spruce bark beetle (Ips typographus L.) in recent decades. 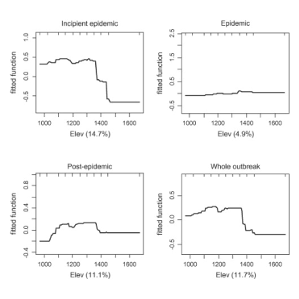 The outbreaks were preceded and accompanied by wind throw events and periods of increased seasonal temperature. 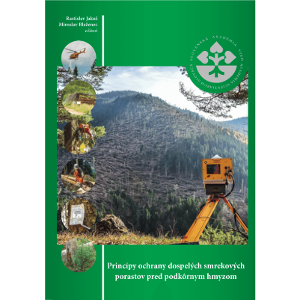 We obtained climatic data and data on tree mortality due to storm throw and bark beetles by using a combination of direct dead tree inventory and remote sensing techniques, and examined annual tree loss change over a 26-year period in a forest district of the Slovak High Tatra National Park. 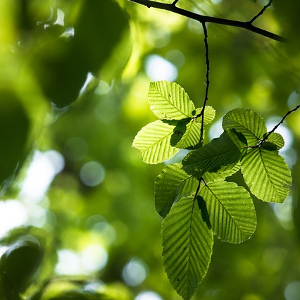 In particular, we found that the combination of the previous year's maximum daily temperature sum, tree mortality caused by wind, and bark beetle-caused tree mortality best explained the annual tree loss change in nonlinear regression models. The number of trees infested by bark beetles clearly increased with maximum air temperature sums ranging from 2850 to 3150 ° days, but declined below or above this thermal optimum. Annual tree mortality clearly increased subsequent to years associated with seasonal temperature sums allowing for the development of sister broods. Given consistently favourable future climatic conditions for development of I. typographus populations in the study area, a possible shift from the now predominantly uni-voltine to multi-voltine bark beetle populations might increase attack pressure also at high elevation sites. Ústav ekológie lesa, Slovenská akadémia vied, Zvolen, 2015, ISBN: 978-80-89408-22-1. Ústav ekológie lesa, Slovenská akadémia vied, Zvolen, 2015, ISBN: 978-80-89408-21-4. 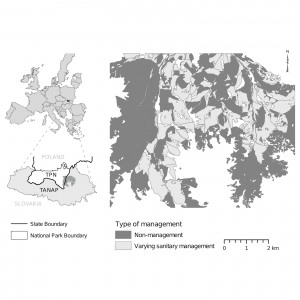 Forest Ecology and Management, 331 , pp. 196–207, 2014. Functional Ecology, 28 (5), pp. 1216–1223, 2014. Forest Ecology and Management, 312 , pp. 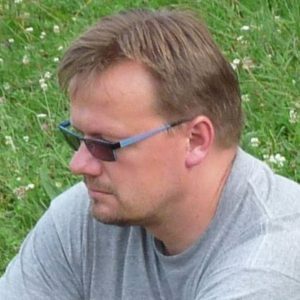 67–77, 2014. Annals of Forest Research, 55 (2), pp. 243-252, 2012, ISSN: 18448135. 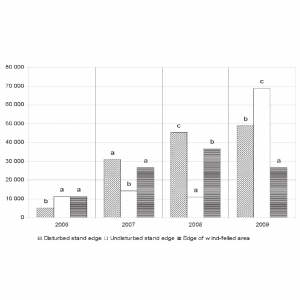 We analysed the relationship between the amount of potential solar radiation and spruce bark beetle Ips typographus(L.) catches in pheromone traps in an unmanaged nature reserve in the Carpathians (middle Slovakia region), from 2006 through 2009. 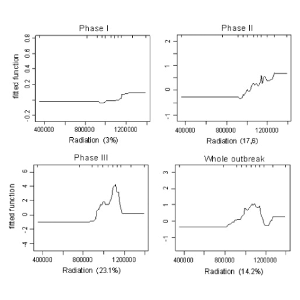 This relationship was analysed under outbreak conditions. The number of traps varied in different years from 70 to 92. The traps were installed in spruce-forest-dominated stands affected by a windstorm in 2004. A GPS device was used to mark the position of the pheromone traps. The potential solar radiation was calculated with GIS tools for three different time periods in each year: with entire year, for main flight season of the spruce bark beetle and the spring swarming period. The relationship between the amount of potential solar radiation and the spruce bark beetle catches was statistically significant for each year and each time period except for the spring swarming in 2007, when the pheromone traps were not set up on time. Folia Oecologica, 38 (1), pp. 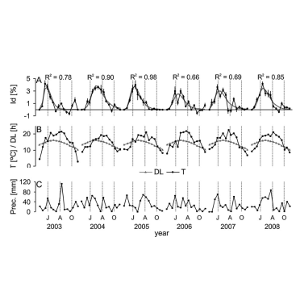 73-79, 2011, ISSN: 13365266.
beetles almost over the whole monitoring period. Folia Oecologica, 38 (1), pp. 38-45, 2011, ISSN: 1336-5266. 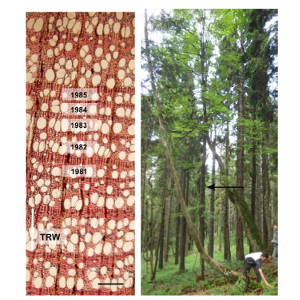 A two-choice walking bioassay olfactometer was used to asses the response of walking Ips typographus (L.) towards the odours from logs of Norway spruce (Picea abies [L.] Karst.) subjected to various treatments. The odour coming from fresh log from standing, unstressed trunk was unattractive or slightly repellent to males over clean air in bioassay. The same odour was neutral or slightly attractive to females. 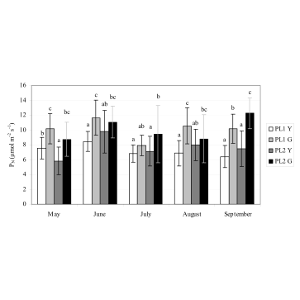 Storing of a log for one month led to increased attractiveness to both sexes. 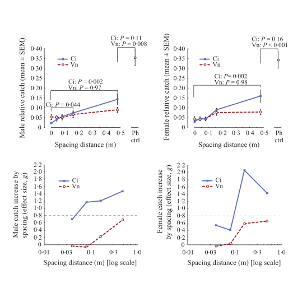 The odour from log after bark beetle breeding was slightly more attractive to both sexes over clean air, excepting very low level of source contact in males. Results on overall attraction are more unclear for females. The level of source contact was the main difference between the males and females. The females manifested higher levels of source contact than males. Folia Oecologica, 38 (1), pp. 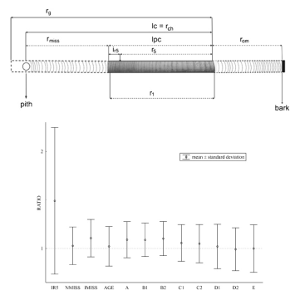 46-51, 2011, ISSN: 1336-5266. 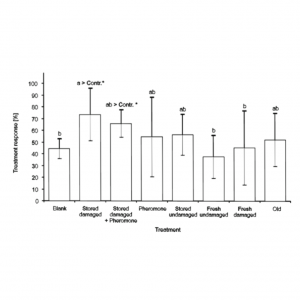 Tests for protection of spruce forest stands against spruce bark beetle (Ips typographus) by using anti-attractants were performed in specific conditions of protected areas in which standard sanitary cutting is not allowed. 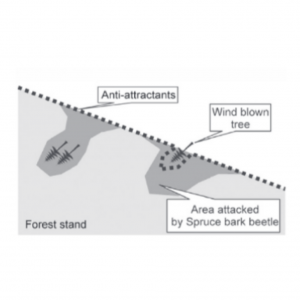 The experiments have shown that application of anti-attractants in a no-cutting zone can significantly reduce bark beetle attacks on the standing trees. In case when the trees at stand edges are not damaged by wind, there is possible to reduce the tree mortality by up to 73%, even in case of large bark beetle populations and even in living green trees growing immediately next to trees attacked by spruce bark beetle. On the other hand, anti-attractants are ineffective at stand edge segments either damaged by freshly wind-thrown or broken trees or wedged with wind-thrown areas, as it was shown in semi-application tests in the NP šumava.